As summer break came to a close September 5th, French students adjusted to school days without their smartphones. France’s Education Ministry, with a ban described as the strictest of its kind to date, has said “au revoir” to middle schoolers and younger using their phones during school hours. French President Emmanuel Macron encouraged the law’s passing, which fulfills his campaign promise to solve cell phone addiction. 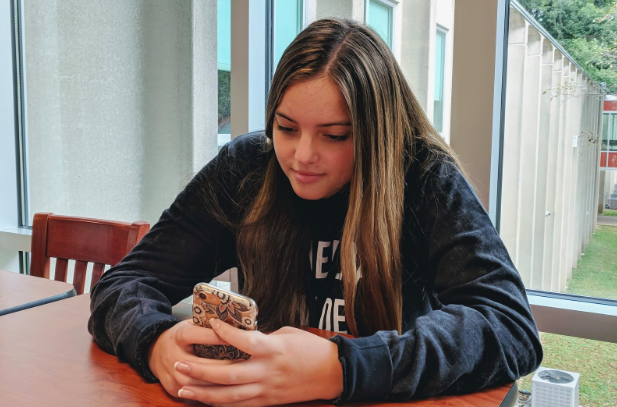 The ban prohibits students from using personal technology at most times, including classes and breaks but excluding after-school activities and emergencies. Although the measure only applies to pupils under 15, high schools can voluntarily implement more flexible regulations. The ban was praised by French Education Minister Jean-Michel Blanquer, who called it “a law for the 21st century” that allows the protection of children and adolescents from “the phenomenon of screen addiction.” According to government data, 93 percent of French children aged 12 to 17 have cell phones, and around two-thirds use social media. Platforms such as Instagram and Snapchat have been proven as sources of smartphone addiction, which feed into students’ preoccupation with likes and shares. Cyberbullying was also a driving factor behind the ban. Blanquer hopes that by regulating phone use, more children will want to read a book or play outside. Other French officials described the ban and its purpose in similar words. However, the policy was also met with discontent among several parties. Former teacher and left-wing political deputy Alexis Corbière said “the ban has already been made” because there is not “a single teacher [in France] that allows the use of phones in class.” His thoughts echo the argument that while the ban isn’t doing any harm, it’s not benefiting anyone, either. Passed in July, the moratorium has been receiving heightened attention from all sides in the past weeks as students go back to school. Despite the widespread coverage this particular law has received, it is not the first time France has regulated cell phone use. According to Frédérique Rolet, almost two-thirds of French middle schools had already implemented similar limitations. There is an ensuing debate over how effective this ban will be, with some saying that the school “shouldn’t be responsible for all the children’s problems.” Others fear students will find a way to circumvent the rule, mirroring the outcome of previous situations. Either way, France’s intervention in its children’s daily lives has not been seen before at this magnitude and may not be seen again any time soon. Three years ago in New York City, mayor Bill de Blasio repealed a school smartphone ban implemented by his predecessor Michael Bloomberg. It was largely unpopular among parents, whom de Blasio said “should be able to call or text their kids.” With over a dozen school shootings this year and 35 percent of American parents fearing for their child’s safety (Gallup), smartphones may be more important now than ever to communicate during school.